Texas Rising details the Texas Revolution against Mexico and the rise of the legendary Texas Rangers. 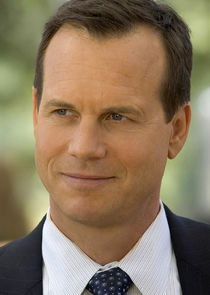 Bill Paxton will play Sam Houston, the father of Texas. He is joined by Brendan Fraser as Billy Anderson, a Texas Ranger with Comanche Indian ties; Ray Liotta as Lorca, an Alamo survivor seeking brutal revenge; Jeffrey Dean Morgan as â€œDeafâ€ Smith, a deaf and grizzled veteran Texas Ranger with an advanced case of consumption; Thomas Jane as James Wykoff, a homesteader who finds himself living in the middle of hostile Indian territory; Olivier Martinez as President General Antonio Lopez de Santa Anna, the tyrant dictator of Mexico; Chad Michael Murray as Mirabeau Lamar, a spirited Texas soldier who helps win the battle of San Jacinto; Michael Rapaport as Sgt. Ephraim Knowles, a would-be deserter and coward turned hero; and Max Thieriot as Jack Hays, a volunteer freedom fighter who becomes the youngest Texas Ranger.